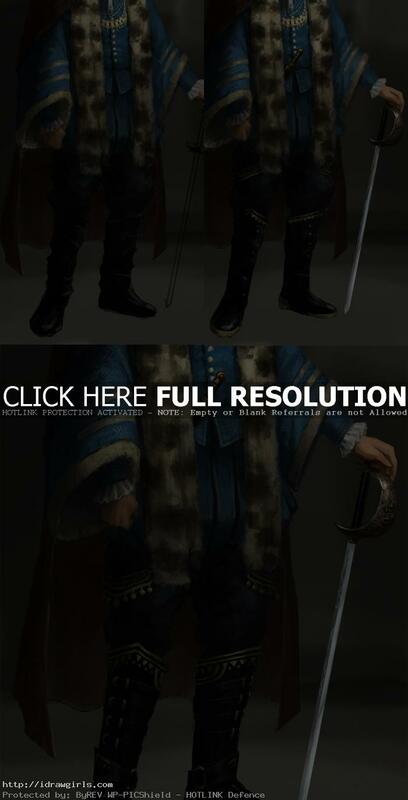 Digital painting tutorial a noble man. In this tutorial, I will show you a step by step digital painting along with detail instruction. This is the usual process of how I create a character for a fantasy type game. This illustration is another one that I did for a big client. Usually I will receive description from client for each character concept illustration. 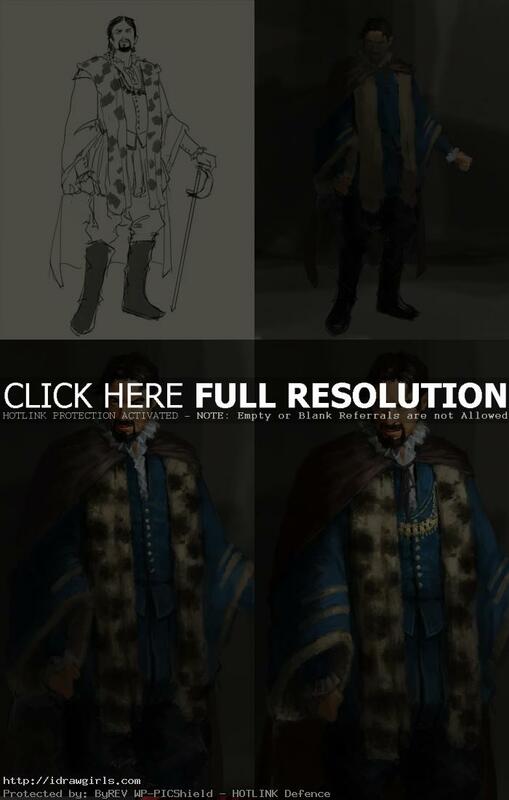 This character assignment, I have to design a somber male human baron who wears a nobleman’s clothes and a dark brown cloak. He has light skin and dark, thick hair, as well as pronounced eyebrows and a goatee. He should look like a bad guy with a terrible secret. First thing I usually do is sketch a rough character using the description as a starting point. If the project is big and I have more free time, I will create a lot of variations. If not or if it is the subject I already familiar with, I will just dive right in. 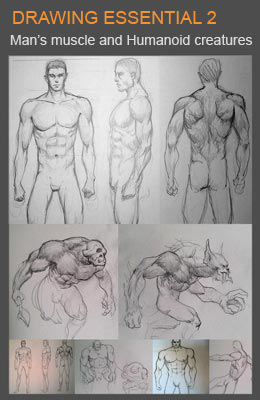 In this tutorial, I am going to show you the drawing and painting process of what I usually do for creature design. Again I would strongly recommend that you focus values first then the rest will follow. Thanks again for all the kind comments and support. Hopefully this tutorial will help you somehow. 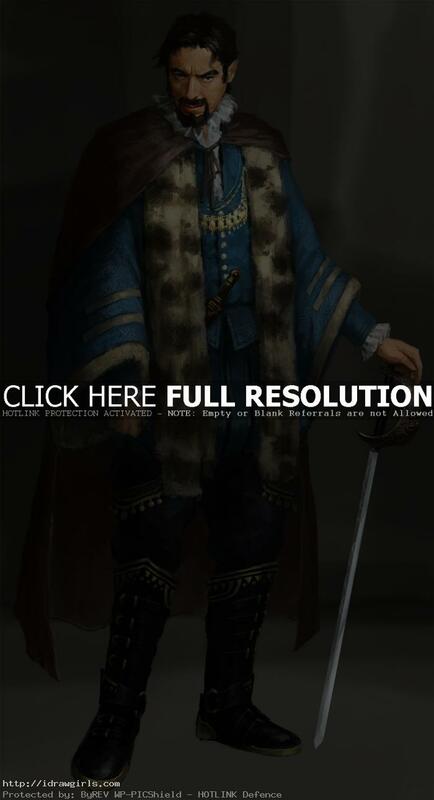 Below are step by step how to draw and paint a noble man. Step one, I sketch a basic aristocrat man with typical standing pose. I will just skip the drawing part since this tutorial is more toward intermediate digital painting. 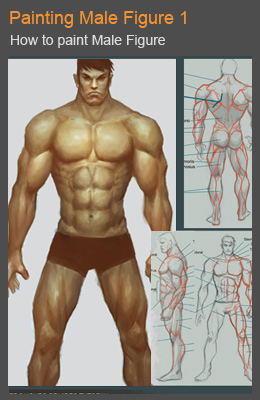 For those who wants to see drawing man video and step by step go to how to draw man muscles body anatomy. Step two, I then apply paint over the drawing. If you are familiar with my tutorial, I usually start off with monochromatic, but not this one. This piece I just paint with color to start with pick base color for skin, hair and clothing. Step three, I then paint his facial feature. It take quite a bit of time (if you want to know more on painting faces in depth with video, go to How to paint different face design for character. Step four, I use variety of brushes to get his clothing different texture like fur and fine gentleman garment along with his gold jewelry. Step five, I painted over his clothing and tighten it up a bit more, but make sure not to alter the existing value. Step six, I add more detail to his leggings, boots and sword. Step seven, I added more design then clean up the rest of the image. I hope you are enjoy the free tutorial above. Wow, the detail is amazing! I love the way you shade. Really cool character design too.